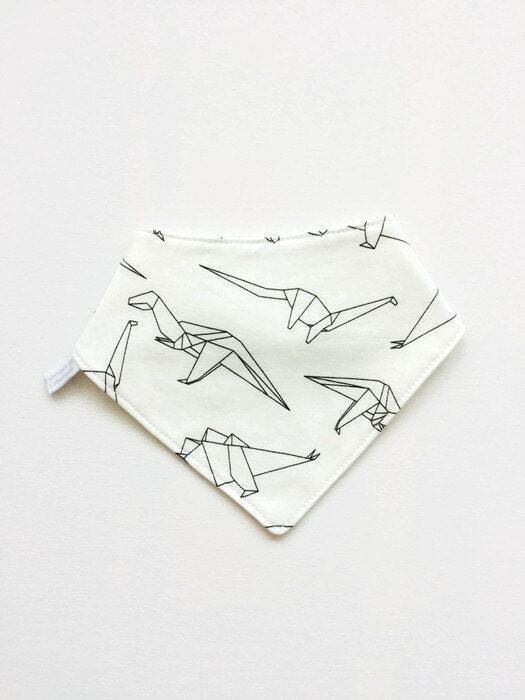 This adorable bandana bib with origami dinosaurs is great for your little one! Not only does this bib absorb your little one's drool, it also looks super stylish. Made with cotton, flannel backing, and a snap closure. Care instructions: machine wash cold, tumble dry low, iron on low temperature.